for art connoisseurs and collectors! 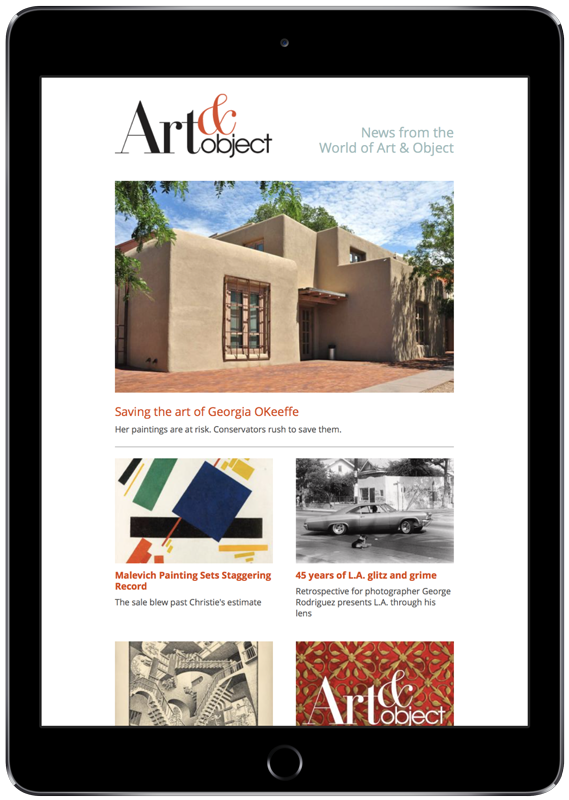 Join Art & Object in its in-depth e-letter and breaking news for art connoisseurs and collectors. Published multiple times a month and absolutely free to subscribers, this e-letter promises to deliver the great writing of Ettagale Blauer, Allison Meier, Megan Robinson, and others. Plus you will receive breaking news from the art world, information on upcoming auctions, exhibitions, and fairs. Remember: The e-letter is free. Just complete the quick sign-up form to receive the best art news online.